As a sales professional, your number-one goal is to onboard new customers and increase revenue for your company. In order to do so, you need to close qualified leads that are a good fit for your product or service. Unfortunately, time and nurturing are required to truly weed out the unqualified leads from the qualified. In order to find quality leads, your team needs to establish lifecycle stages. This helps organize all of your company contacts based on their stage in your sales cycle: lead, marketing-qualified lead, sales-qualified lead, etc. At some point in a lead’s lifecycle, marketing will hand it off to sales. But, if marketing is handing lead after lead to sales, your representatives will begin to experience a backlog of sales-qualified leads requiring contact. In today’s two-part post, we will walk through how to prioritize your sales-qualified leads based on lifecycle stages and lead scoring. As stated above, lifecycle stages help your team organize your contacts based on where they are in your sales cycle. In order to effectively nurture leads, your team should leverage lifecycle stages to dictate its interactions with contacts. Lead: Leads show more interest than those who opt to hear from you every now and again (blog subscribers, email subscribers, etc.). Typically a lead has filled a form with more than just an email address, often for some sort of content-based offer on your website. Marketing-Qualified Lead: Marketing-qualified leads, commonly known as MQLs, are those people who have raised their hands (metaphorically speaking) and identified themselves as more deeply engaged, sales-ready contacts than your usual leads. Sales-Qualified Lead: Sales-qualified leads are those who your sales team has accepted as worthy of a direct follow up. You may be asking yourself, how does your sales team qualify those worthy of a direct follow up? That’s where lead scoring comes into place, helping you prioritize SQLs. Lead scoring helps your marketing and sales teams separate quality leads from those who are just starting to look around. Lead scoring is the action of attaching values to each of your leads based on their professional information and the behavior they’ve exhibited on your website. 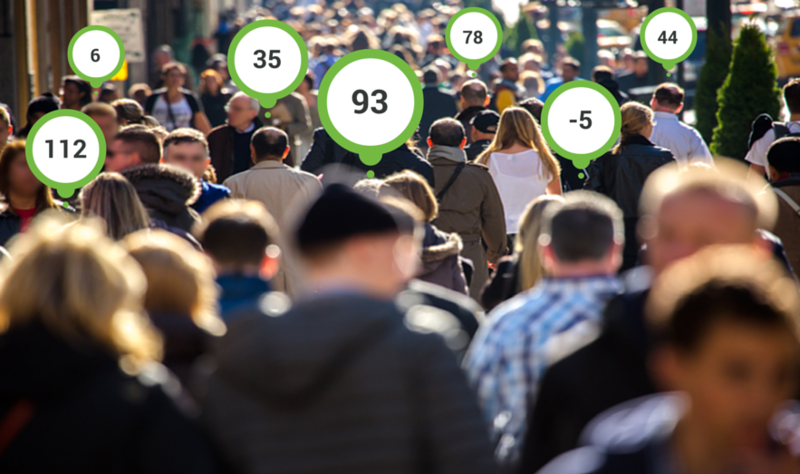 Contrary to what you may think, lead scoring is not cherry picking hot leads while ignoring the rest. Rather, it is a way to help your marketing and sales teams identify which leads are sales-ready. There is a lot that goes into lead scoring, including building out the requirements for MQLs and SQLs. Essentially, once you’ve compiled a list of criteria for each lead stage, you can assign positive point values to each criterion (and negative point values for less-than-desirable attributes). Contact Information: You can use the amount of personal information a prospect shares with you as an indication of how interested he or she is. If you have "first name," "last name" and "email address" as required fields and "phone number" or "secondary email" as optional, award extra points to those who fill out these latter fields. Budget: Whether you ask for a budget on a form or via an email conversation, score budgets based on the least desirable to the most desirable. Organization Size/Type: Interested in B2C companies? B2B strictly? What about SaaS or IaaS companies? Award points to leads who fit the organization size and type you want; deduct points from those who don't. Industry: Industry is very similar to organization size and type in that there are industries you'd rather work with based on your product or service, your level of expertise and your understanding of the industry. This is an easy score to help better qualify your leads. Job Type: Along with targeting an organization's size, type and industry, you've most likely got your eye on key players within the organization. You'll want to award points to individuals whose position allows them to make business and financial decisions. Accordingly, discredit interns and entry-level positions. Location: Are you only selling within a particular geographic location? Anyone that falls outside of the proper city, state, zip code or country should be given a negative lead score. Pages Visited: Which pages a lead views on your website says a lot about his or her interest level in your company. Award points to those who view sales-critical pages such as "pricing" and "contact us." Along with which pages they view, the number of pages viewed indicates interest. Award values based on different levels of page views, i.e. 0–5 pages, 5–20 pages, 20–50 pages, etc. Downloads: Before you attribute scores to those who download an offer versus those who don't, you first need to evaluate the value behind each. Often, certain offers can indicate more sales readiness. For introductory offers, award fewer points than trials, demos and consultations. Engagement: Another matter of interest lies in engagement. How often leads interact with your website and its content can prove just how interested they are. Along with page views and downloads, bump up their scores for greater amounts of downloads or website visits. According to HubSpot, any repeat action from leads is typically a good indication that you've captivated their interest in some way. Lead Source: Do you know where your leads are coming from? Do you know which sources provide the most qualified and action-driven leads? At New Breed, there are certainly lead sources we prefer based on past results. Assign higher values to sources you prefer and negative scores to those you'd rather avoid.